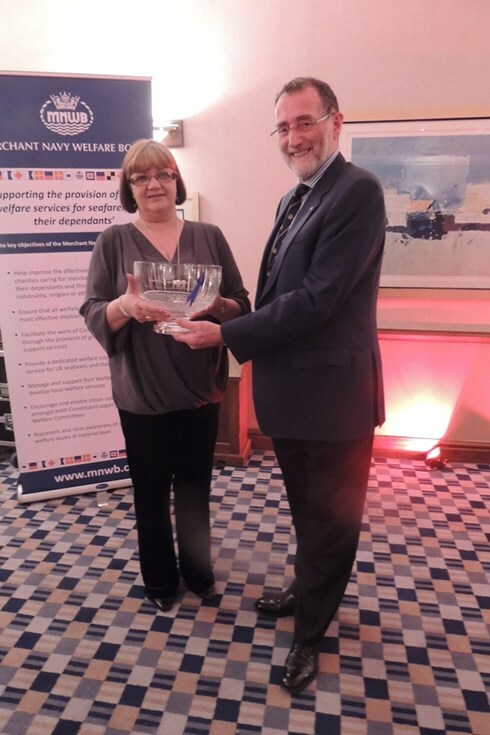 This years Annual Services to Seafarers' Welfare Award went to three deserving recipients: Drew Anderson of the Sailors' Society in Invergordon, Keith Dickson of the Fishermen's Mission in Newlyn and Dianne Erskine of The Mission to Seafarers in South Shields. The awards were in in recognition of the many years of exceptional support and service they have all given to seafarers. The awards were announced at last week's PWC Chairman and Vice Chairman's meeting dinner. Dianne was representing the Tyne PWC at the meeting and was presented with her award by Bob Jones, Chairman of the MNWB during the dinner. Drew and Keith will be presented with their awards at local PWC meetings in the New Year. “The industry greatly welcomes this announcement, which formally recognises the huge contribution that the men and women of the Merchant Navy and fishing fleets make to the skills, economy, trade and defence of the United Kingdom. I want to pay particular tribute to all those who have been awarded the Merchant Navy Medal, today and in the past. All holders of this award should justifiably feel proud of their achievement. It is the success of this medal that has paved the way for a State Award and this reflects the high quality of the recipients and the well-established selection process. I want to emphasise that existing holders should continue to wear their medals with equal pride. The existing Merchant Navy Medal is an award by the industry for meritorious service and acts of courage afloat. It has been awarded by the Merchant Navy Medal Committee, which was established in 2005 as a result of a charitable initiative and has members from a wide cross section of the industry. Captain Matthew Easton is the Chairman of the Committee and Admiral The Lord West of Spithead is its Patron. The new medal will be a State Award with a place in the Order of Wear. Her Majesty The Queen signed the Royal Warrant for the new medal earlier this year. The first recipients of the new Merchant Navy Medal for Meritorious Service will be announced on Merchant Navy Day on 3rd September 2016. For around twenty years, during my tenure of office, the Merchant Navy Welfare Board, with the agreement of The Royal British Legion, has arranged for and paid the costs of between four and six serving, or more usually retired, Merchant Navy veterans who have served during times of conflict. We have always felt it important to remind the general public about our role, described by Sir Winston Churchill, as the Fourth Service. Our veterans have featured in every performance and a brief resume of their, always, poignant experiences has been broadcast to the audiences. In 2013, the 70th anniversary of “the turning of the tide” of the Battle of the Atlantic, our veterans were given their own special prominence during the performance and we remain hugely grateful to the Legion. In 2014 we were again invited to put forward suitable personnel and succeeded in finding six men who had actively participated in the Normandy Invasion 70 years previously. These wonderful old gentlemen, unbeknown to us, were simply placed in the audience, but Jim Radford a folksinger who had served on tug on D Day, sang a moving song about his experiences. Sadly the BBC commentary simply mentioned Jim was a seafarer with no reference that he was from the Merchant Navy. This was subsequently raised with the Legion. In consideration that this year marks the 70th anniversary of the end of World War II the Board had, in good faith, nominated six veterans who had served at that time. It is important to emphasise that youngest of these is in his late eighties. We realised that this will probably be the last major anniversary for those who had served in that conflict to appear. It is important to emphasise that in those six years we lost proportionately more personnel than any of the three armed services. In putting forward veterans we always emphasise that they saw action alongside the armed services in virtually every theatre of war, risking their lives in the service of their country. Importantly we have included veterans from more recent conflicts also. Unfortunately, for undisclosed reasons, the Legion has taken a decision not to include our veterans in this year’s performance. They did offer a small number of seats in the audience, but we felt that this was an unacceptable level of recognition and this was therefore declined. We were given to believe that there would in fact be no veterans at all, but have now learned that, quite properly, the Chelsea Pensioners will participate as always. It is important to emphasise that at the Muster there will be eight serving personnel, a mix of officers, ratings and cadets, who we have also organised and almost certainly a contingent from the RFA. Nonetheless, on behalf of the Merchant Navy, we will continue to openly express our disappointment. I would also add that the members of the three armed services, past and present, hold the Merchant Navy in the highest regard. It is hugely disappointing that others, perhaps, have such little sense of history or gratitude. Congratulations to Capt. Jimmy Ferro, Chairman of our Gibraltar PWC and Robert Goldwin, also a member of the Gibraltar PWC who were both awarded the Gibraltar Medal of Distinction at a ceremony in Gibraltar last month. Recipients of the awards were recognised for their work and excellence in the fields of arts, education, journalism, politics, sports, military, telecommunications, tourism, law, medicine, economics and charity work. Jimmy was recognised for his service as Port Captain in Gibraltar as well as his work in supporting seafarers. 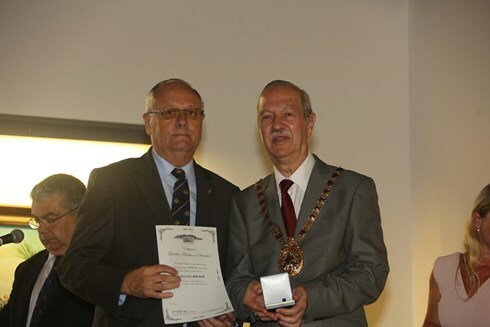 Robert was also recognised for his work supporting seafarers and his contribution to public services in Gibraltar. 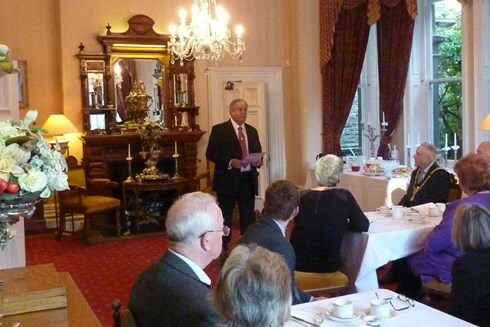 The South Wales PWC held a successful business breakfast in Cardiff yesterday. 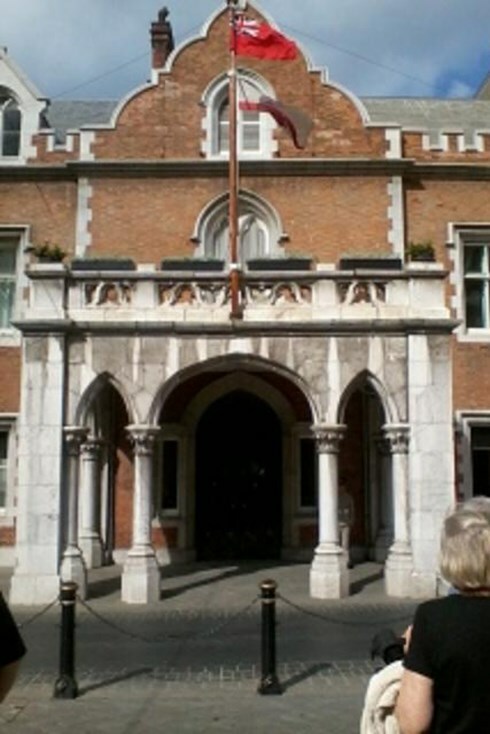 The aim of the breakfast, held at the Mansion House, official residence of the Lord Mayor of Cardiff, was to promote the work of the PWC and raise awareness of the Merchant Navy, its seafarers and their welfare. 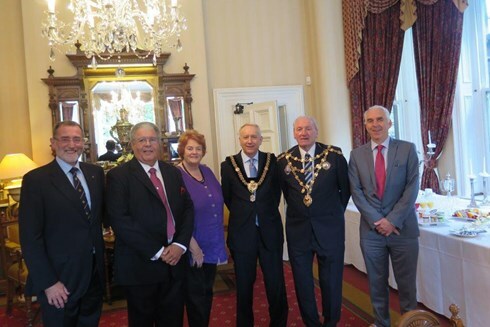 In attendance were the Lord Mayor of Cardiff the Right Honourable Councillor David Walker, the Mayor of Newport Councillor Herbie Thomas and Dame Rosemary Butler, Presiding Officer of the Welsh Assembly. 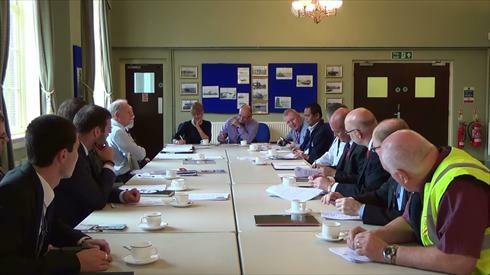 The meeting organised by Edward Watts, Chairman of the South Wales PWC was also attended by Bob Jones, MNWB Chairman and Reverend Andrew Wright, Secretary General of The Mission to Seafarers as well as members of the Committee. Today is Merchant Navy Day, a day to remember the sacrifices, salute the courage and support the future of the often unsung personnel of our Merchant Navy. 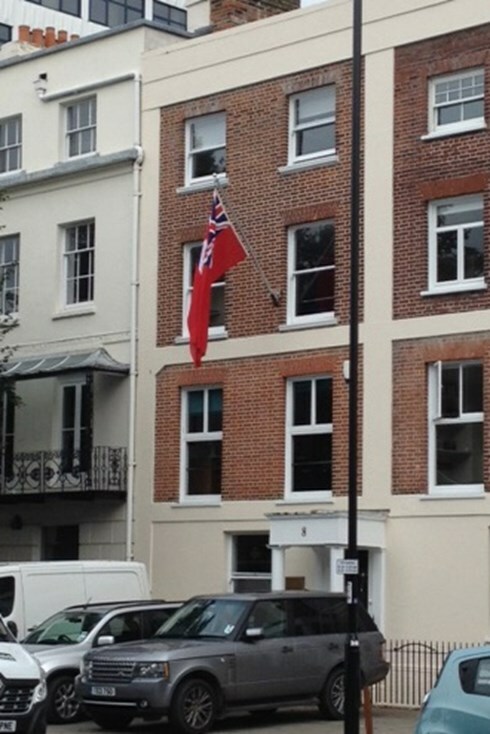 Red Ensigns have been hoisted over public buildings all over the UK and even over the Governor's Residence in Gibraltar (thanks to Capt Jimmy Ferro of the Gibraltar PWC for making that one happen!). Even our own office was not immune! 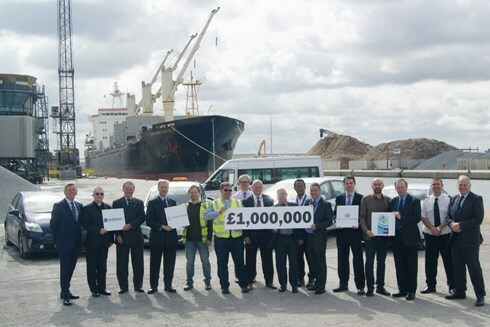 At a milestone event held today, Merchant Navy Day, a new Multi-Purpose Vehicle (MPV) was handed over to the Tilbury Seafarers’ Centre by the four primary UK funding charities - the ITF Seafarers Trust, Merchant Navy Welfare Board, Seafarers UK and Trinity House. This marked the passing of £1m expended on these important vehicles in a collaborative funding programme, launched in 2008, that has, so far, seen 90 replacements. 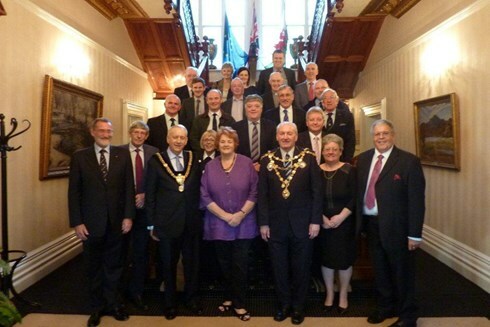 The Merchant Navy Welfare Board, in its role of supporting and co-ordinating the work of its Constituent charities works very closely with those voluntary societies providing welfare in and around the UK ports. It is those frontline organisations that provide the all-important visits to the ships and transport of seafarers ashore for the often all too brief time when their ship is alongside. This essential work can only be undertaken using vehicles and these are therefore an essential tool for this purpose. In these days when raising funds is so difficult, such charities are heavily reliant upon grants for purposes such as this and in the UK these come from the four primary funders involved in the programme. Until around 2007, whenever a new, or replacement vehicle, was required, they needed to apply to one or more potential funder in the hope that they would receive a grant. This meant that it was difficult for both the vehicle users and funders to plan properly, sometimes meaning that vehicles remained in service long after their sell-by dates. Most are, of course, being driven in the harsh environment of ports and five years is widely regarded as time for a replacement. The programme means that the fleet of minibuses, MPVs and cars are now well maintained and fit for purpose. Above all it helps the chaplains, staff and volunteers to provide a quality of service to seafarers visiting their ports, or in some cases to provide pastoral care to those living in the vicinity. Captain David Parsons, Chief Executive of the Merchant Navy Welfare Board spoke of how the programme was originally conceived. “Through our network of port welfare committees the Board became increasingly aware that much of the UK vehicle ‘fleet’ was aged and struggling to maintain a good service with, often, costly repair bills. The sensible solution was to bring together the users and funders to find a satisfactory solution by establishing a planned replacement programme, administered by one organisation on behalf of all involved. This quickly commended itself to all concerned. An arrangement was brokered wherein the Board receives grants from the other three societies, which are held in a restricted fund. This fund allows all vehicles to be replaced when they reach five years old, although obviously any part exchange value is deducted. For the recipient societies it means that all grants are routed through one source and most importantly they can be assured that funds are available. In the meantime this avoids any unnecessary administrative duplication for the funders. We are of course mindful that providing a new vehicle is only half the battle as the user societies must meet all the costs involved in keeping the vehicle on the road!” He went on to pay tribute to all the societies involved and his staff, particularly his deputy, Peter Tomlin, who had managed the project so successfully from the outset. 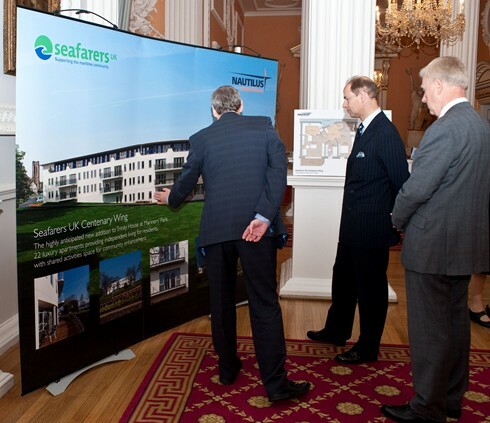 Commodore Barry Bryant, Director General of Seafarers UK said: "Seafarers UK has been an enthusiastic supporter of this project from its inception, seeing it as an excellent example of what the maritime charities can achieve through working in partnership. The major funders, often working through the Maritime Charities Group, will always strive to use the total resources of the sector to provide optimum services for the greater benefit of our whole seafaring community." One of the major beneficiaries of the project is Apostleship of the Sea, Martin Foley, their National Director, said: “The Apostleship of the Sea is enormously grateful to the MNWB and the other funding partners for the vehicle replacement project. 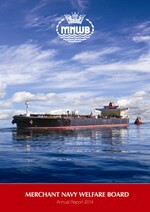 Surveys of seafarers consistently show that one of their primary needs in port is the provision of reliable transport. Thanks to the generous support of this project we have been able to help meet this important need. The project is invaluable." ‘My Mt Kilimanjaro climb is for very personal reasons....I want to do something challenging but am definitely not keen on jumping out of perfectly good airplanes, bungy-jumping and the like! After making my mind up to climb Kilimanjaro my daughter, Suzy (21), asked if she could join me...so it’s a family affair now and there can be no backing out now! We wish Andrew and his daughter Suzy the best of luck!! If you would like to support Andrew please click here to go to his Just Giving page. North Shields Fishermen’s Mission held its second Mission Aid event last month to celebrate the sea, fishermen and the work of the Mission. making his first visit to North Shields. Also in attendance were the Rt. Hon. Alan Campbell MP for Tynemouth and Albert, the Fishermen’s Mission Mascot on his first visit to North Shields. The event which included a display by the local lifeboat and live music from the Fishermen's Mission Support Band, was supported by a £500 grant from the Merchant Navy Welfare Board. A total of £1820.27 was raised for the Fishermen’s Mission, to care for fishermen and their families in the North East. Supt Peter Dade said he was grateful indeed for the support of Old Low Light, Tyne Port Welfare Committee and the Port of Tyne, North Shields Fish Quay Company Limited, Caley Fisheries, Staith House, DFDS Seaways, and to all the volunteers who helped set up the event. The boards of the International Seafarers Welfare and Assistance Network (ISWAN) and the Maritime Piracy Humanitarian Response Programme (MPHRP) are pleased to announce the moving of the activities of the MPHRP into ISWAN. A transfer agreement was signed by both parties on 3 August 2015. ISWAN will now be responsible for all the activities of the highly respected MPHRP. The move to ISWAN will enable the programme to develop under the auspices of a well-established international seafarers’ welfare organisation that is registered as a charity. The programme will continue to support the seafarers and their families who are affected by piracy. While piracy attacks off the coast of Somalia have significantly decreased, attacks are on the increase in South East Asia and continuing in the Gulf of Guinea. The MPHRP programme will concentrate on these areas while still supporting seafarers who were held for years in Somalia. The programme will seek to develop constructive and positive relationships with existing and new industry partners. ISWAN has already appointed a new programme manager, Mr Tom Holmer, to lead the MPHRP in this new phase of its development. The programme in South Asia will continue while an immediate priority will be to secure funding to continue the programme in South East Asia and Eastern Europe. Other key industry partners involved in the MPHRP, such as the International Chamber of Shipping and the International Maritime Bureau, fully support the move of the programme into ISWAN. Seafarers UK is calling on Local Authorities throughout Britain to celebrate Merchant Navy Day on 3rd September by flying the Red Ensign - the UK Merchant Navy’s official flag - on public buildings and landmark flagstaffs. 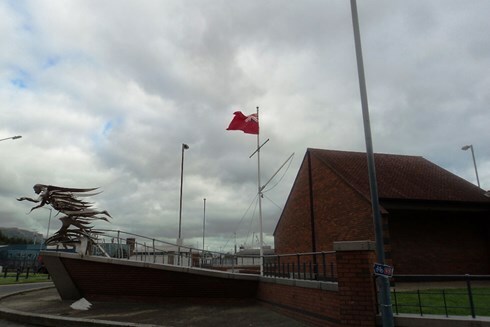 ‘Fly the Red Ensign for Merchant Navy Day’ is supported by the Merchant Navy Association, whose members will be invited to attend local ceremonies at 10am on Thursday 3rd September, when the Red Ensign is to be hoisted as the message of support from The Earl of Wessex is read out by civic dignitaries. Our Annual Report for 2014 has just been printed. To download a copy please click here. 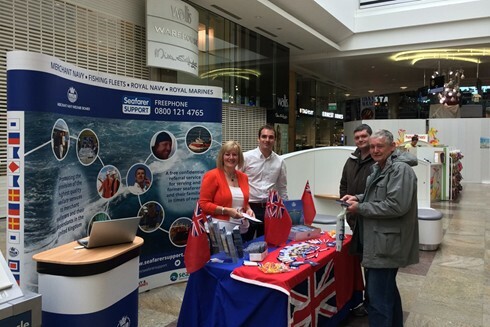 The MNWB kicked off Seafarers Awareness Week 2015 by placing its newly designed "Seafarer Support" Exhibition Stand in the busy West Quay Shopping Centre, Southampton. The stand, representing the entire UK maritime sector, was placed in a prominent position and manned throughout the day by Sally Oliver, Ally Whitfield, Louise Furber and Peter Tomlin. Cleverly positioned next to the Apple Store where crew members from cruise ships visit to use free Wifi on their mobile devices, the stall generated a great deal of interest from the maritime community and the general public. This was the first time the Board had independently manned an Exhibition Stand in the public domain and it was extremely well received. Numerous comments such as 'We didn’t know these services even existed' and 'It’s the first time we’ve seen the MN represented' were received along with a number of offers of a financial donation. The latter had to be politely turned down as this was an awareness not fundraising exercise. The leading maritime charity, Seafarers UK, is to provide £1.17m in funding towards the building of a major new extension to the Trinity House Hub retirement home for ex-seafarers at Mariners’ Park in Wallasey, Merseyside. The announcement was made by HRH The Earl of Wessex, President of Seafarers UK, to more than 150 of the charity’s supporters and beneficiaries at its Annual Meeting at Mansion House in London on Tuesday 19 May. The new Seafarers UK Centenary Wing will provide 22 single and double occupancy apartments for retired and elderly Merchant Navy and Royal Navy seafarers, and their dependants, and is due to open by the late Spring of 2017, during the charity’s Centenary year. The additional apartments will meet a real need for high quality housing and with a 24 hour care staff team on site will be able to support ‘a balanced community’ of those with low, medium and high needs. The capital project grant - to be provided over three years (2015-2017) - will provide the Nautilus Welfare Fund, which operates the Mariners’ Park estate, with the majority of the funding it needs for the design and building work. The remainder of the funds will then be raised by the Nautilus Welfare Fund, as well as through further fundraising by Seafarers UK. The Seafarers UK Centenary Wing is one of three legacy projects that Seafarers UK will be fundraising for as part of its Centenary Appeal, which will focus on supporting the seafarers of the past, present and future and is to be formerly launched later this year. A ‘home away from home’ best describes the newly-launched centre for seafarers in the port of Sheerness, Kent. The facility, which provides free WiFi, reading material and even a pool table, offers ship crew a place where they can relax and contact their families back home as they wait to return to their vessels to head to their next port of call. 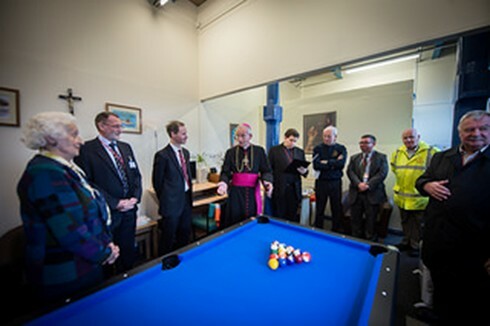 The refurbished centre is operated by seafarers’ charity, Apostleship of the Sea (AoS) and was opened by the Archbishop of Southwark, The Most Reverend Peter Smith in a ceremony on this week. The restoration of the centre was made possible by a £4,130 grant from the Merchant Navy Welfare Board (MNWB). AoS estimates that each year about 5,000 ships visit ports in the Medway area, with about 80,000 seafarers on board. Deacon Paul and his team of ship visiting volunteers go on board ships in Chatham, Dover Port, Gillingham Pier, Rochester, Sheerness Docks and Whitstable Harbour to visit seafarers and provide support if needed. Through its presence at these ports and by using the new centre, AoS is able to provide seafarers with practical and pastoral care. The centre offers seafarers amenities to communicate with family by internet or phone and space to relax and spend some quiet time. Archbishop Smith said his grandfather on his father’s side was a shipwright in Bristol, so the sea ran in his family’s genes. “AoS does great work and it’s done quietly,” he added. Following a large grant from the MNWB in 2013, the Gibraltar Port Welfare Committee have been busy upgrading and refurbishing the facilities available to seafarers on the North and South Moles in Gibraltar. Captain Jimmy Ferro, Chairman of the PWC recently gave an interview to the local paper, the Gibraltar Chronicle, about the lives of seafarers and how the improvements were part of an ongoing effort to help the seafarers visiting Gibraltar feel as comfortable as possible during their short time on the Rock. To read the article and see some photos of the improvements, please click here. 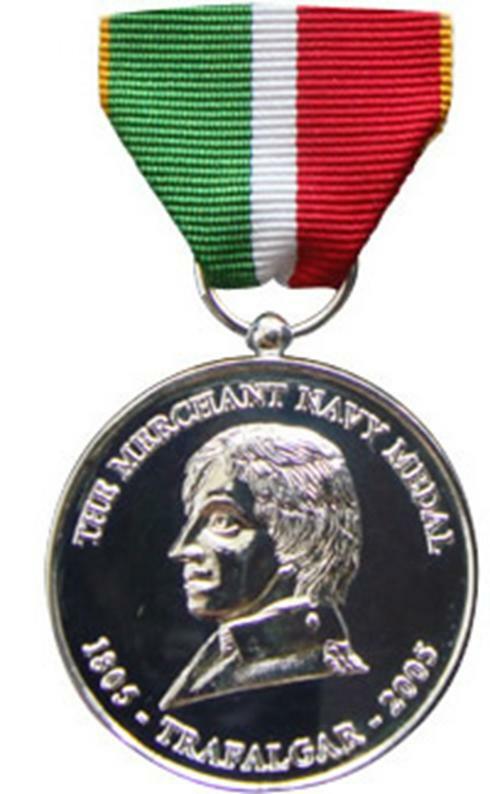 The Merchant Navy Medal, established in 2005, is a prestigious annual award recognising acts of courage afloat, or meritorious service, by persons from the United Kingdom or British Overseas Dependent Territories, within the Merchant Navy or fishing fleet. Up to 20 medals may be awarded annually. The committee responsible for the Medal is actively seeking nominations for consideration for the 2015 awards. The medal provides an opportunity to recognise, in a worthy and public manner, those persons who are making, or have made up to two years previously, a significant contribution to the Merchant Navy. The committee is particularly anxious to receive nominations for personnel serving at sea, regardless of rank and these can be put forward by colleagues or employers. The award is made for meritorious service to those who are judged to have made a worthy contribution to merchant shipping, including operations, development, personnel, welfare and safety, or who have performed an act of courage afloat. Persons nominated for “meritorious service” must have served afloat in the Merchant Navy or fishing fleets for a minimum of twelve years, at least five of which must have been at sea. Nominees can include serving officers and ratings, or shore-based personnel within maritime organisations, including shipping companies, agencies, authorities, charities and educational establishments. 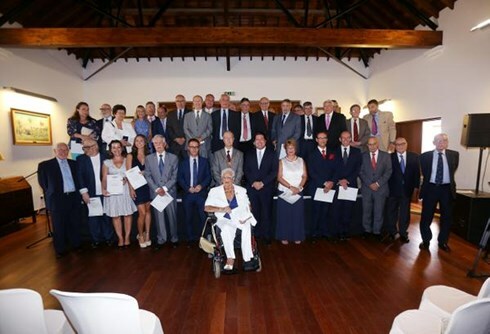 A small number of medals can be awarded as “honoris causa” to persons who have made a major contribution to the shipping sector but have not served afloat. Medals awarded for “Acts of Courage Afloat” are not subjected to minimum service requirements. All nominations can only be considered for a maximum of two years after the nominee has left his, or her, post although consideration is given to posthumous awards. The closing date for 2015 nominations is 30th June. 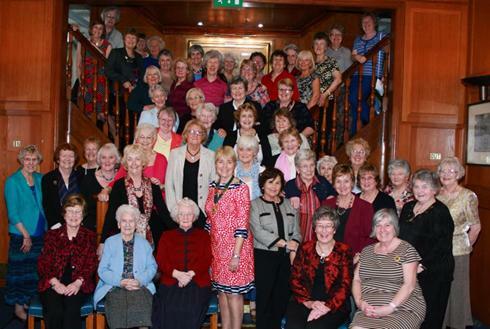 The Watch Ashore, an organisation established in 1933 to provide support for wives and partners of Merchant Navy officers, has turned to social media to raise its membership and campaign more effectively. With branches in six UK ports and membership around the country, providing mutual support for those whose loved ones are away at sea, Watch Ashore is launching a new website, a forum for its members and is reaching out to a younger generation with cheap and effective social media. Working with the Merchant Navy Welfare Board, using a grant from the Merchant Navy Fund, short training courses in the use of social media are being provided in a project that aims to help the organisation raise its profile, improve its outreach and increase its membership. Watch Ashore was founded 82 years ago when the Merchant Navy was suffering from the worst of the Great Depression. 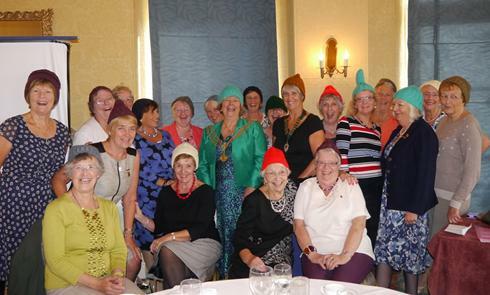 Providing support and friendship for “wives, widows, mothers, sisters and daughters of all Merchant Navy officers and anyone with an interest in the Merchant Navy”, it grew to sixteen branches around British ports. It also lobbied effectively over the years for reforms that would improve conditions for Merchant Navy personnel. Six branches are active today, in Plymouth, Southampton, Glasgow, London, Edinburgh and the Humber. Country members who do not live close to the branches are welcomed and there is a programme of meetings. The branches also help the maritime charity sector with fund-raising and other support. “The Watch Ashore is a valuable support network for all those whose loved ones are serving at sea, but we would greatly welcome more members who might benefit from belonging to our organisation”, comments Watch Ashore Chair Mrs Chris Rankin. A busy social programme, soon backed up with the new website and forum will hopefully attract new members. Mrs Rankin added that there remain important reforms needed to make life better for serving seafarers and their families. Families for instance, were experiencing difficulty with the “hard line” being currently taken by head teachers over children being taken out of school when seafaring fathers were on leave in term time. The project has its own dedicated website: www.watchashore.org.uk. A new website designed to encourage the formation of port welfare boards around the world to provide a welcome to visiting seafarers has been launched today by the Merchant Navy Welfare Board (MNWB). An important element in a project managed on behalf of the International Seafarers’ Welfare Assistance Network (ISWAN), the website explains the role of welfare boards, which are an integral part of the Maritime Labour Convention 2006, now being implemented around the world. Managed by the MNWB, the ISWAN project is designed to provide information, guidance and advice to assist in the establishment of welfare boards in parts of the world where they have not been previously seen. Additionally, the project will assess the operational effectiveness of existing welfare boards around the world, while helping to establish minimum standards and promoting best practice. It is hoped that using this information, developed within a single point of contact, a “model” might be provided that will be the basis of welfare boards thus fulfilling the objectives of MLC 2006 and leading to a major, global project. Kimberly Karlshoej, Head of ITF Seafarers’ Trust stated “The Trust is very proud to be the sponsor of the Port Welfare Partnership Pilot Project. The promotion and utilisation of port welfare boards is a critical step in improving services to seafarers during their all too short stays in the world's ports”. The project website emphasises that the successful welfare board is, like a well-functioning port welfare committee, a co-operative partnership within the maritime community. It will involve the participation of individuals and agencies such as harbourmasters, port agents, port health, seafaring unions, voluntary organisations and the welfare providers, along with local authorities. At both a national and local port level, it will also encourage financial support from the industry through port levies and donations, and seek other mechanisms for funding, where this might be required. Designed to provide an introduction to the important topic of seafarers’ welfare, and underlining the reasons why the obligations under MLC 2006 are important, the website also shows something of the life of the modern day seafarer and why ports need to provide this essential workforce with a warm welcome, all around the world. To access the new project website visit www.portwelfare.org. 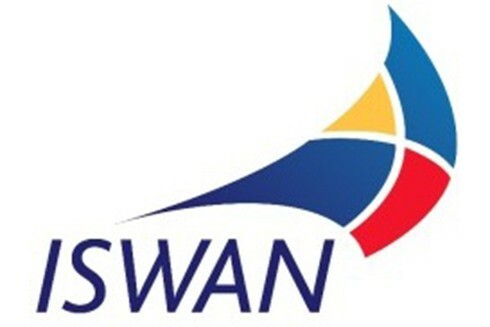 ISWAN: The International Seafarers Welfare and Assistance Network promotes seafarers welfare worldwide and supports seafarers with a 24/7 helpline www.seafarerswelfare.org. MNWB: The Merchant Navy Welfare Board is the UK umbrella charity for the Merchant Navy supporting the provision of quality welfare services for seafarers and their dependants www.mnwb.org. ITF Seafarers’ Trust: The ITF Seafarers’ Trust provides funds for organisations who do work for the benefit of seafarers www.seafarerstrust.org. Alastair Whitfield, Project Administrator Alastair@mnwb.org or Peter Tomlin MBE MNM, Deputy Chief Executive & Project Manager, Merchant Navy Welfare Board, 8, Cumberland Place, Southampton SO15 2BH Tel: 00 44 (0) 2380 337799.